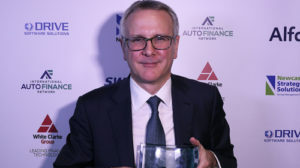 Congratulations to Peter Cakebread, Managing Director of Marshall Leasing (part of Northridge Finance) on his induction to the International Auto Finance Network Hall of Fame. Designed to recognise the exceptional contribution of industry leaders in fleet finance, retail motor finance and technology, Peter is one of three inductees this year. Induction into the Hall of Fame was based on the approval of a panel of judges made up of industry leaders from 16 major industry companies. Peter was nominated as one of the most respected and long-serving executives in the industry, including 27 years at the helm of Marshall Leasing and 2 years as chairman of the British Vehicle Rental and Leasing Association from 2013-2015. Read the full report published by Asset Finance International here.